Sylvester can’t believe his luck when he finds a magic pebble that can make wishes come true. But when a lion jumps out at him on his way home, Sylvester is shocked into making a wish that has unexpected consequences. After overcoming a series of obstacles, Sylvester is eventually reunited with his loving family. 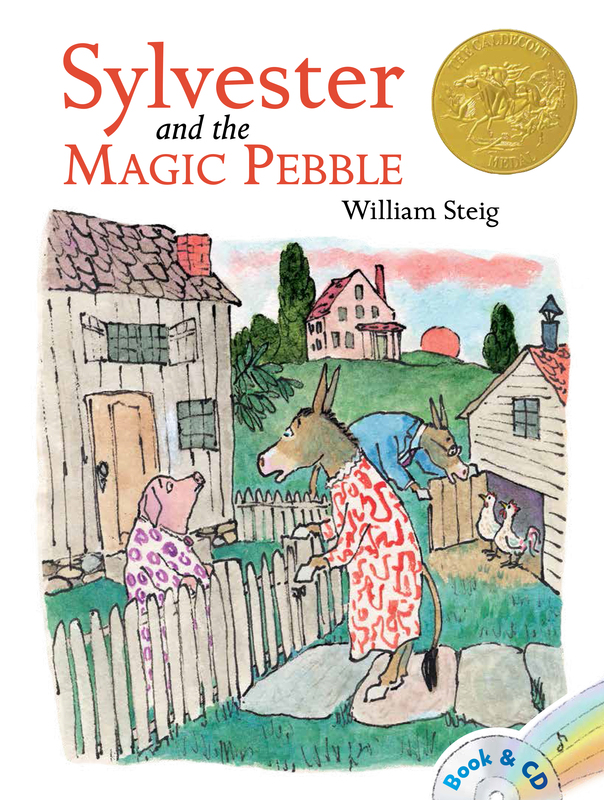 Illustrated with William Steig’s glowing pictures, this winner of the Caldecott Medal is beloved by children everywhere. James Earl Jones is a renowned and beloved actor who has achieved success in television, film, and theater. Jones's voice is known by people of all ages and walks of life—the Star Wars fans who know him as the voice of Darth Vader, children who know him as Mufasa from Disney’s The Lion King. In addition to the many awards he has received as an actor--two Tonys, four Emmys, a Golden Globe, two Cable ACEs, two OBIEs, five Drama Desks, and a Grammy--Jones has been honored with the National Medal of Arts in 1992 and the John F. Kennedy Center Honor in December 2002. He also was honored by the Screen Actors Guild with the Lifetime Achievement Award in January of 2009. James Earl Jones most recently starred in the Broadway production of Driving Miss Daisy with Vanessa Redgrave. He lives in Pawling, New York.